Dr. Dunlop obtained her DMD degree at the University of Saskatchewan College of Dentistry in 2003. Since 2003 Dr. Dunlop has been involved in general dental practice, as well as teaching with the University of Saskatchewan College of Dentistry in both the pediatric and prosthodontic departments. 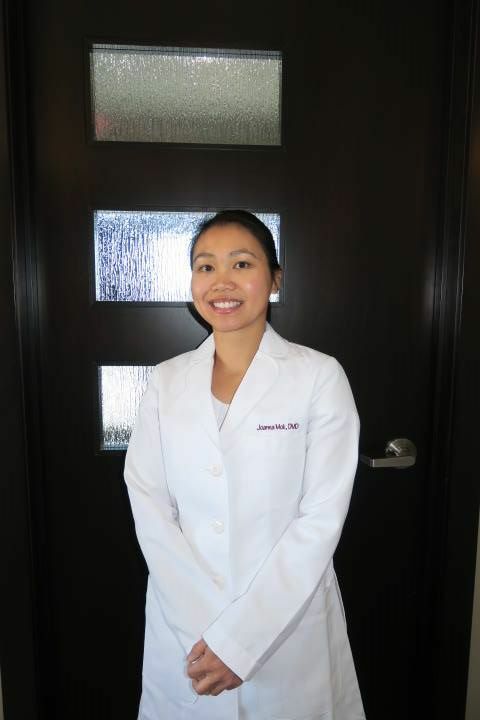 While living for two years in California, she worked in private practice as well as taught in an Advanced General Dentistry program of the University of the Pacific Dental School in San Francisco. Dr. Dunlop is very happy to practice dentistry in her hometown of Saskatoon. She strives to continue providing patients with comprehensive dental care in a relaxed and family-focused atmosphere. Dr Dunlop is a member of the Canadian Dental Association, Saskatoon Dental Society, as well as the Women Entrepreneurs of Saskatchewan. She speaks English and French. Dr. Miranda Mark graduated from the University of Saskatchewan, with her DMD degree, in the spring of 2015. She is a very accomplished student; she was the recipient of the 3M Canada Scholarship in Restorative Dentistry, she won the American Academy of Implant Dentistry Student Award, and as well she received the American Association of Oral and Maxillofacial Surgeon’s Dental Student Award. Miranda is a member of the American Academy of Cosmetic Dentists (AACD). Dr. Mark was born and raised in Saskatoon, and she and her younger sister grew up helping in the family greenhouse during the spring and summer seasons. Miranda is also an accomplished piano player, and she is looking forward to learning new instruments. In her spare time, Dr. Mark loves to travel and volunteer. Dr. Joanna Mok obtained a B.Sc in Physiology at McGill University before entering dentistry. She then went on to graduate with honours from McGill Dentistry in 2007, and completed a General Practice Residency at the Montreal General Hospital the following year. She practiced in both Montreal and then Ottawa before joining Willowgreen Dental. Dr. Mok is a member of the Canadian Dental Association, the College of Dental Surgeons of Saskatchewan, the Royal College of Dental Surgeons of Ontario and the Order of Dentists of Quebec. Dr. Mok has four little boys and she, her husband and family are now happy to call Saskatoon home. In her spare time, she enjoys spending time outdoors with her children. She is also involved in their extra-curricular activities, taking them to their violin, piano and swimming lessons. Dr. Mok speaks English, French, Mandarin, Cantonese, and German.